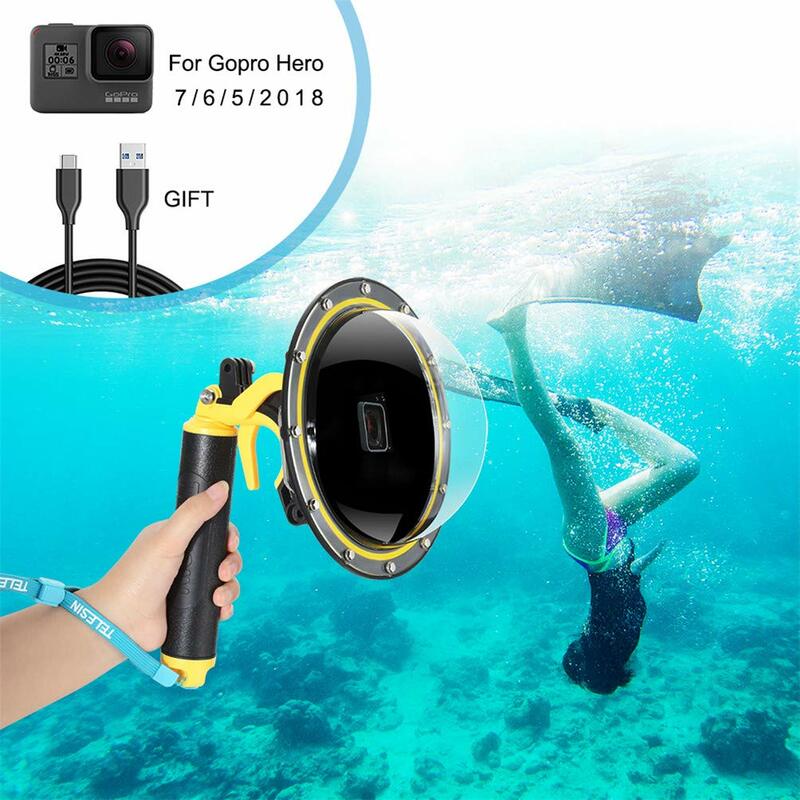 · 【SPECIFICATION】Designed for Dome Gopro 5 6 7 2018, includes a camera housing and a floaty handheld. 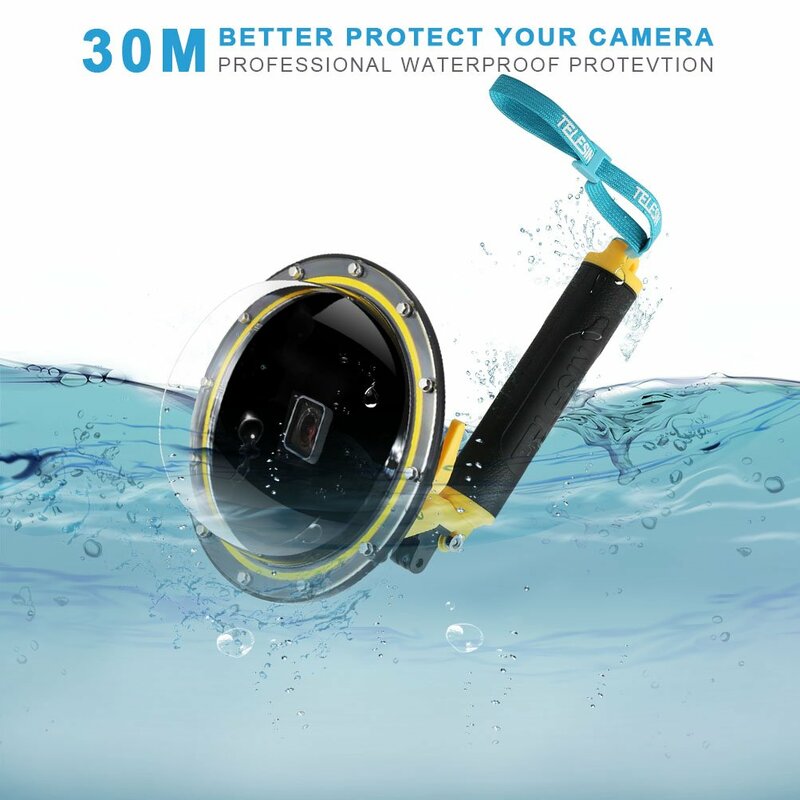 · 【A COMPLETE SET OF DOME PORT】Comes with a handheld floaty grip,a waterproof housing case,and all the gopro accessory bolts and screws, No other accessories are needed, just insert your action camera and you are ready to go. 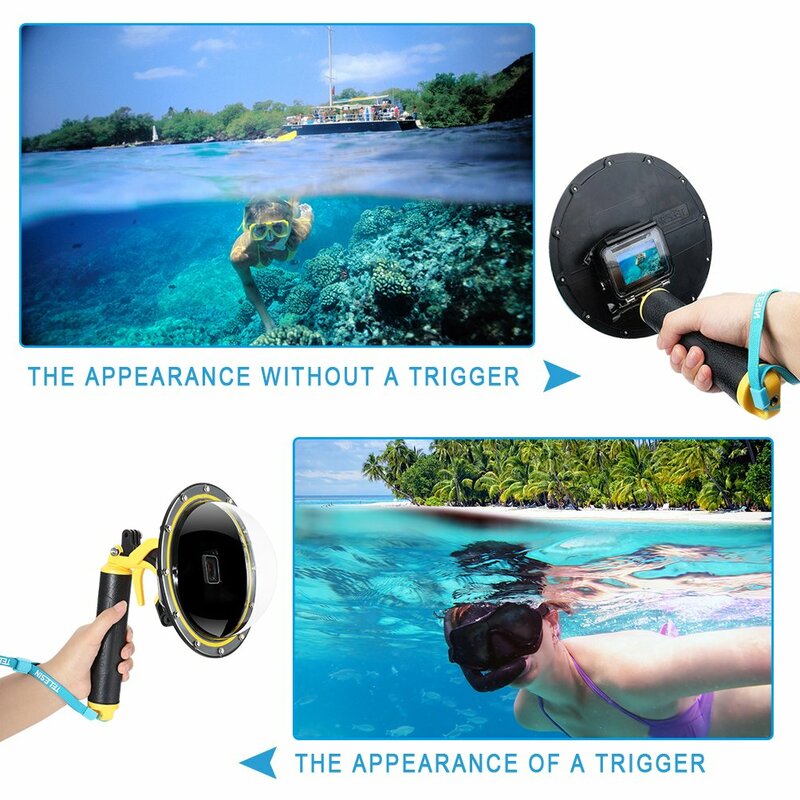 The GoPro dome port reach to a Depth of 100ft/30m. Matched to dome GoPro wide Angle Optics. Compact 6″Port Design Travels Easily. Design of replaceable transparent lens cover. 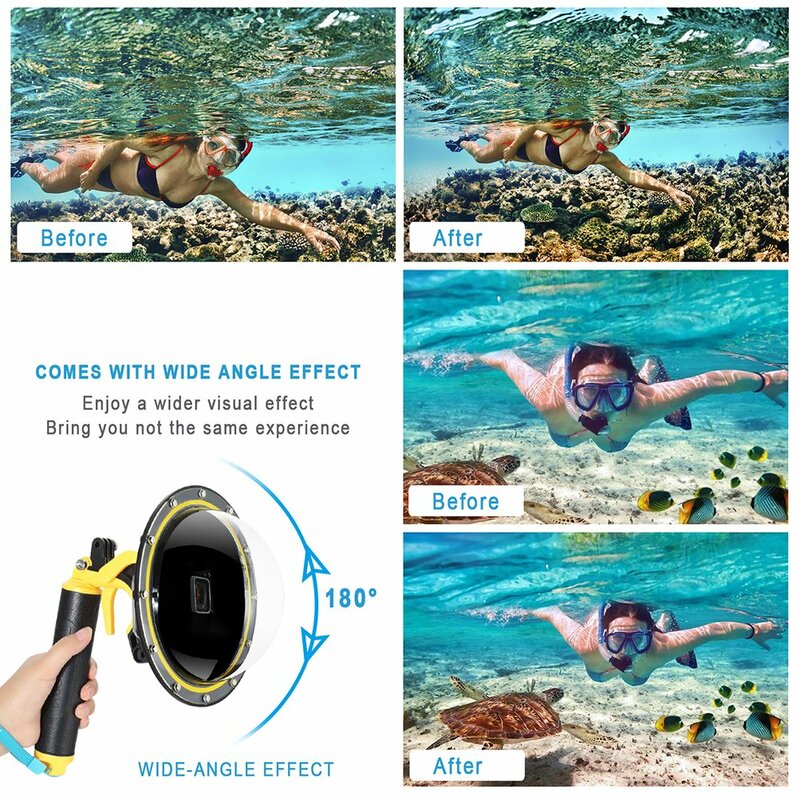 · 【GET EXCELLENT SHOOTING OVER AND UNDER WATER】If you want to capture half images and improve your camera underwater shots, then you need a gopro dome port. 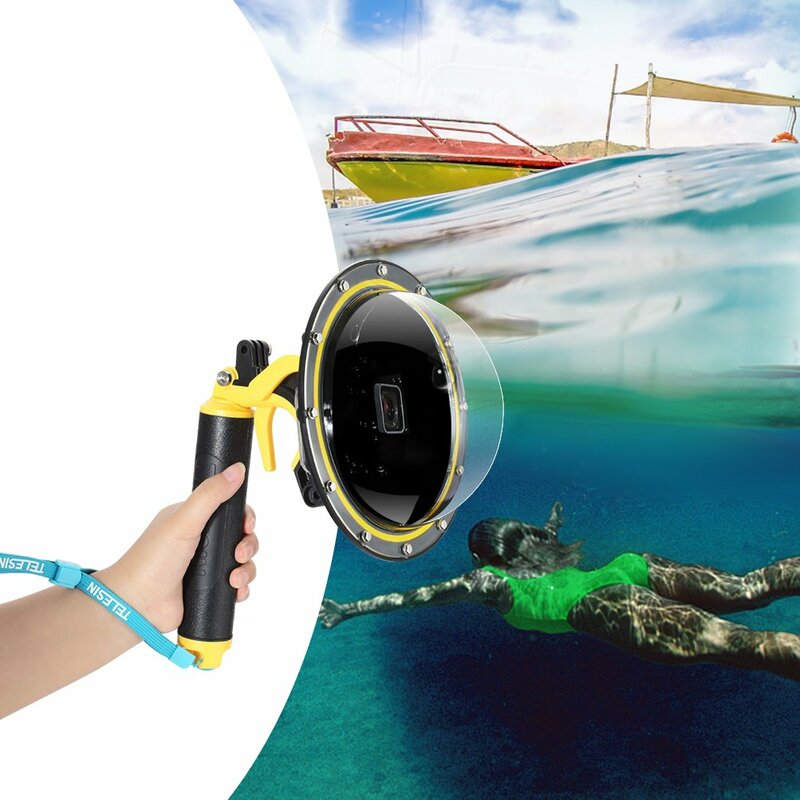 By moving the waterline away from the GoPro lens, a dome gopro port dramatically improves camera’s underwater functionality and image quality. 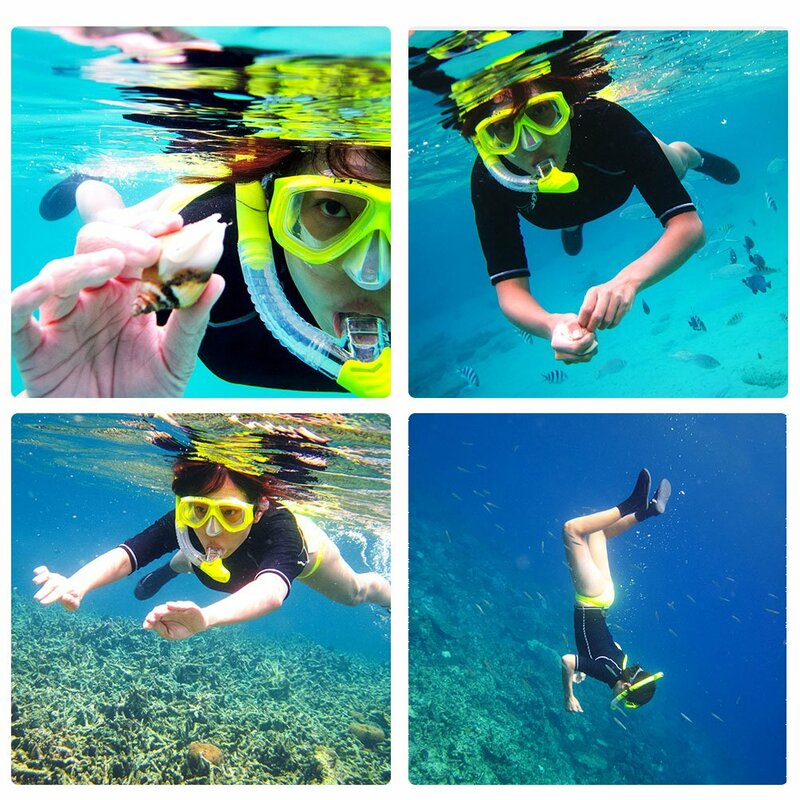 It allows you to make those split photo shots that are half underwater, half above it. · 【KIND SUGGESTION & GUARANTEE】 One year guarantee by our shop. Our mission is to provide the best service, high quality and nice price to our customer. If you have any question, please feel free to contact with us. We will work it out for you right away.